Trying to find a skilled and reliable flooring contractor can be frustrating. 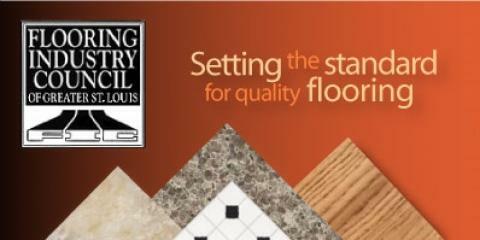 Count on Flooring Industry Council of Greater St. Louis in Missouri to connect you with a high-quality contractor that will ensure your project is a success. Each FIC contractor specializes in a unique material and property type, allowing you to pick from the best of the best to fit your needs. Each flooring contractor receives four to six years of classroom and on-the-job training to ensure they have the proper experience before tending to your property. Working with residential, commercial, and industrial clients, their keen eye for detail and communicative nature has made this company the area’s premier choice for flooring installations. In addition to carpeting, they provide installation services for laminate, hardwood, and marble flooring. Use FIC’s website to match you with a flooring contractor who best fits your needs, based on property and flooring type. Enjoy $250 off of your flooring installation by filling out a few details about yourself. Regardless of your specific needs, this company is committed to connecting you with reliable, experienced, and affordable contractors so you can achieve long-lasting results without breaking the bank. Get in touch with Flooring Industry Council of Greater St. Louis today to take advantage of their services and find the right flooring contractor for your project. You can rely on their staff to go above and beyond to meet your needs. Call them today at (314) 968-3522 to get started or visit them online for more information.